Knitting Like Crazy: Auntie knows best. Tomorrow, Alex and I will be watching my niece for the evening. I'm pretty excited about it because she is a super fun age (21 months), and provides us with hours of entertainment. She talks nonstop, loves Mickey Mouse, and her favorite thing is to have people read to her. Since she does love to be read to so much, I couldn't resist the urge to get her a book. Gotta start them young on the yarn, I say! Of course when the book arrived, I had to give it a read. 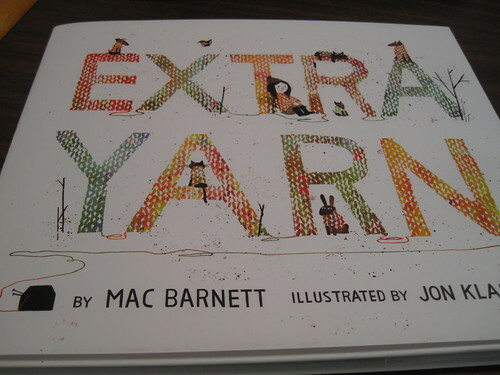 It is the cutest book about a little girl who finds a box of yarn. The best part? She never runs out of it! 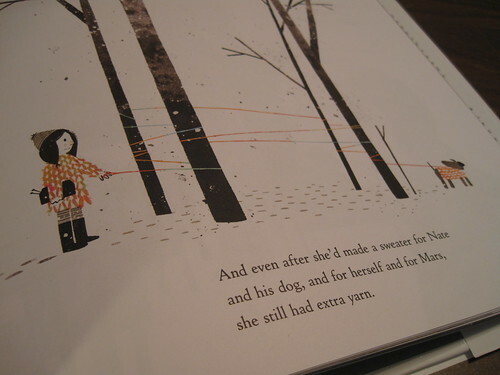 Have you found any other good kids books about knitting/yarn/sheep? Let me know!